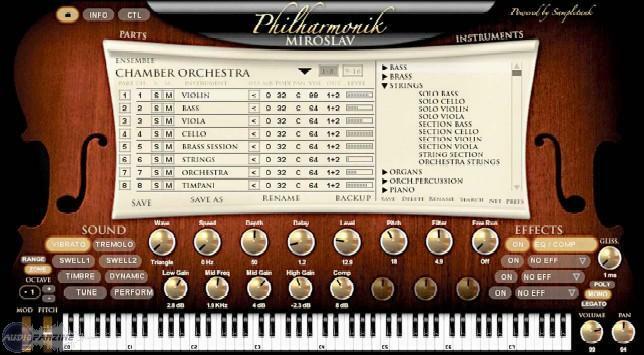 Miroslav Philharmonik, Virtual Orchestral Instrument from IK Multimedia in the Miroslav Philharmonik series. 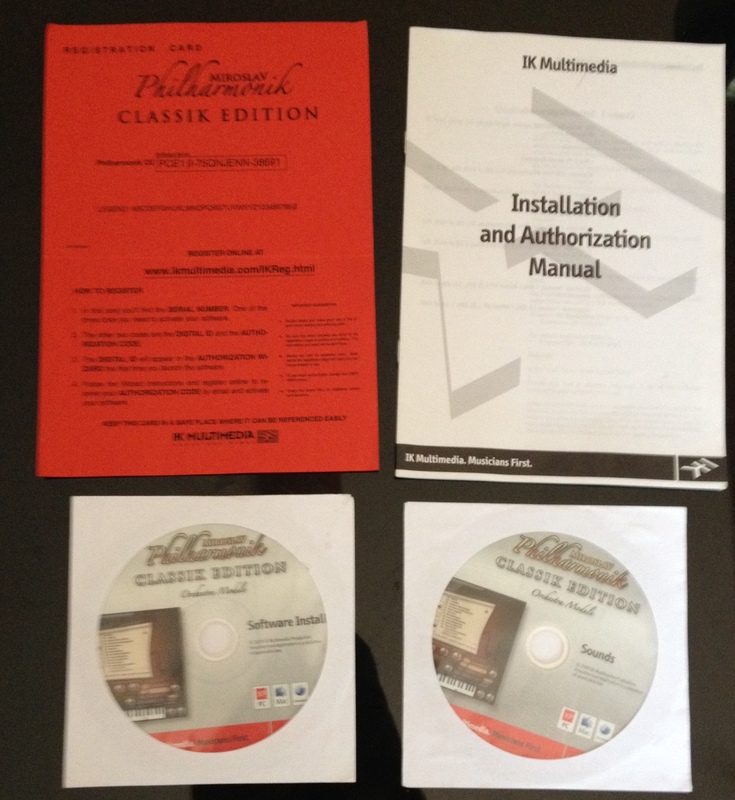 Easy and hassle-free installation and setup. I use it in my second home with an old pentium 4 (2 ghz) with 1 gig ram under xp pro .... no problems whatsoever. It's a very simple plugin. Authorizing it and all that is as simple as every plugin and you can get started really quickly. All the functions are easily found and organized well. You can search for sounds, or browse through the categories. It also comes with effects that may not be the best, as I choose to use my own reverb or compression but they definatly aren't bad. It's also easy to use the plugin as a multi out. I've been using this for over a year and it's one of my most stable plugins. I can run a lot of instruments from it at the same time even when my project is full of tracks. I use it on almost every project. It's not a CPU hog at all even though it delivers quality sound. My computer is nothing special either, it's just a dual core gateway that isn't even for music with only 2GB of RAM. The price is great, espcially when IK Multimedia does those "Group Buy" sales. You can literally get 5 of their plugins for the price of one. 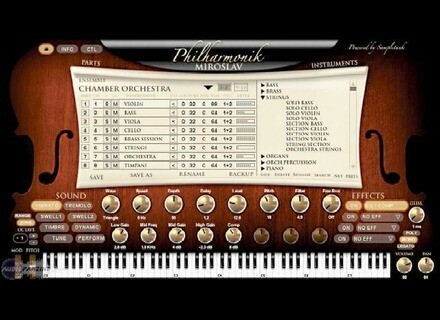 It's also cool that you can run the philharmonik instruments in any of the other plugins offered by IK Multimedia. It's definatly one of my "Go To" instruments since it has very realistic sounds, even the choirs are in a league of their own. They don't just sound like airy pads, they sound like real people singing. The strings and brass are just as good as well. Your not going to find your southern trap music brass in this, but if you want something realistic than look no further. I'd definatly make the same choice now that I've heard and used the plugin extensively. I would recommend it! DJ Henny's review"My favourite orchestral VST." This VST installed quickly and has worked nicely on my High end PC (I've not tried it on my low end computer). I ran it on my 2.5GHZ Core2Quad & 4GB ram and it runs pretty brilliantly, more so than Sampletank or any other VST i've tried on the same engine. There can be some delay and latency between the keys and the synth, though I suspect that might be to do with my low end keyboard. The lbirary is accessable and nice to use, and is operated via folders on display on the GUI of the VST. The only problem I'd mention about library accessability is the overuse of folders. Some instruments are hidden about 5 folders deep into the library. It gets annoying to constantly click through. It is nicely organised into instrument types and then the actual instruments. It works nicely in both of the DAW's that I use, Ableton and FL Studio. This software works well in FL Studio with no hiccups, however I have to run Ableton Live in administrator mode to get it to work, otherwise Ableton will display it as an unsupported vst. The sound bank that comes with this VST is absolutely staggeringly amazing. This is no doubt the highest quality and best orchestral pack of samples that I've ever used. The CPU load is pretty low too so there is no problems with stacking up sounds. The memory usage is also low for a VST of the nature that it is. It is around 7 GB and comes with pretty much every orchestral instrument under the sun. 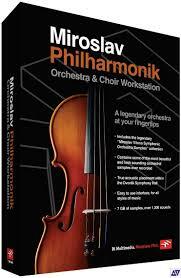 I love some of the sounds on offer from this VST, the strings especially are brilliant. Some of the non string sounds can be flat and boring though, but the epicness of the string sounds makes up for it easily in my opinion. I love to play piano chords then just load this VST in and load string sounds. They really are stunning. I would reccomend layering some of the sounds though, especially the orchestral ones if you want a true orchestral sound. I cannot seem to find a search function on the VST too, this makes finding patches previously used an absolute nightmare. I would still get this VST though knowing what I know now. I use a Macbook with Logic 9 and Ableton 8 running with a Presonus firebox/firepod. So far, I have had no compatibility issues. I have not needed to reference the manual as this plugin follows the same design as the Sampletron, Sampletank, and the Sonic Synth. Everything is pretty accessible and straight forward. If you understand the basic elements of a synthesizer (i.e. LFO settings, ASDR settings etc...) you will have no problems. The one thing I had to look up in the manual was how to layer instruments and have them all play via one midi controller (fyi, click and drag the Midi Channel number up or down to the channel you want). I was able to find that info fairly quick and easy. Overall, IK Mulitmedia makes some easy working stuff that sounds fantastic. In both Logic 9 and Ableton 8 as well as a standalone unit this plugin performs wonderfully. I have been using this plugin for about 3 months and if has never crashed nor lost a preset. The performance is as good as you would hope. Midi is quick and responsive and when you dial in the right attack and decay, you can get some very realistic sounds. What I like about this unit is the huge amount of extremely high-quality sounds it pumps out. The flutes, choirs and strings are good but most plugins don't struggle with those. What really impressed me was the percussion (the timpani's are awesome!). Most of the horns are really nice too. It could be my overall bias for synth saxaphones, but I was not impressed with those (haven't been yet with any plugin). If I had to pick one thing I don't like, its really a general problem I have with all standalone options. They never add an output monitor, at least I can't find one. In standalone mode, if I get a little zealous and add a few layers (not too many) then play with some intensity, I almost always end up clipping the audio. It would be nice to have a gauge. I believe my studio partner paid around $300 for this plugin. Its hard to pay that much when you get such a massive amout of orchestra instruments all ready in Logic 9 (only $500). 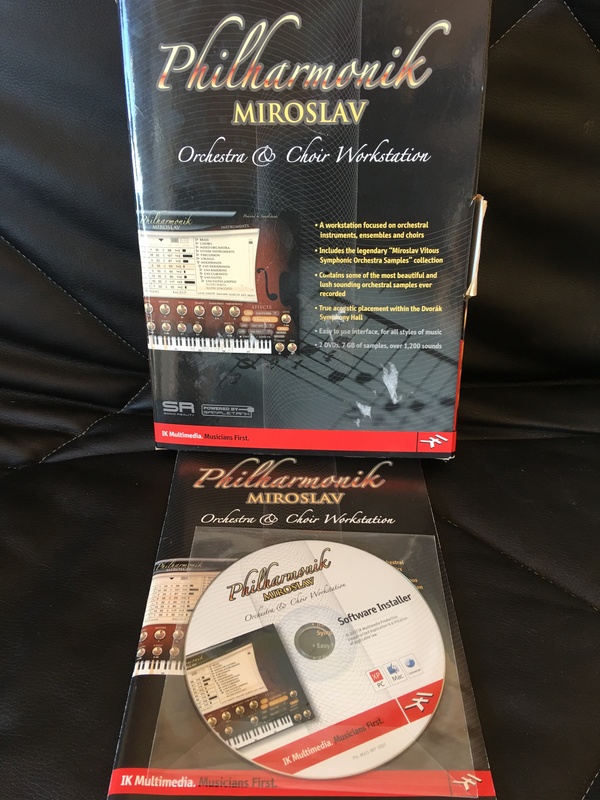 But, overall, I find myself using the Miroslav much more and can definitely hear a difference. So if you can afford it, get it. I give it a 9 out of 10 for the quality of sound, the saxes make a deduction necessary. Other models I have tried include the samples in Logic and Ableton, and the samples in the Sampletank also by IK. In a fight, Miroslav would win. Yes, if my partner had not bought it, I would have eventually.